Monica Berenice Aguilera, is from Forest Hill and a sophomore Nursing major. Raven Layne Chatelain, is a freshman Nursing major from Hesmer. Saije Elizabeth Cousin, a junior majoring in Pre-Medicine/Biology and a Pineville native. Stacy Nicole Fussell, is a senior majoring in Nursing and is from Elizabeth. Anaice Kay Hackett is from a junior Communication Studies major from Scott. Greshria Brishon Joiner is from Boyce and a junior majoring in Kinesiology. Tracy Danielle LaCaze is a senior English major from Pitkin. Blaire Catherine Murray is from Elizabeth and a sophomore Nursing major. Kaelyn Michelle Rachall, is a senior English major from Boyce. The winner receives a $1,500 scholarship and represents the university at official school functions. 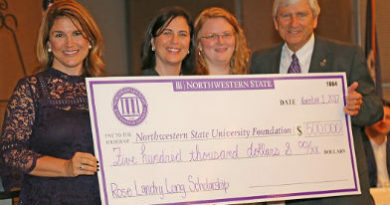 The first runner-up receives a $1,000 scholarship and the second runner-up gets a $500 scholarship. Other awards are presented for Scholastic Achievement, Ms. Congeniality, Ms. Photogenic, People’s Choice, Top Ad Sales and the Director’s Award. 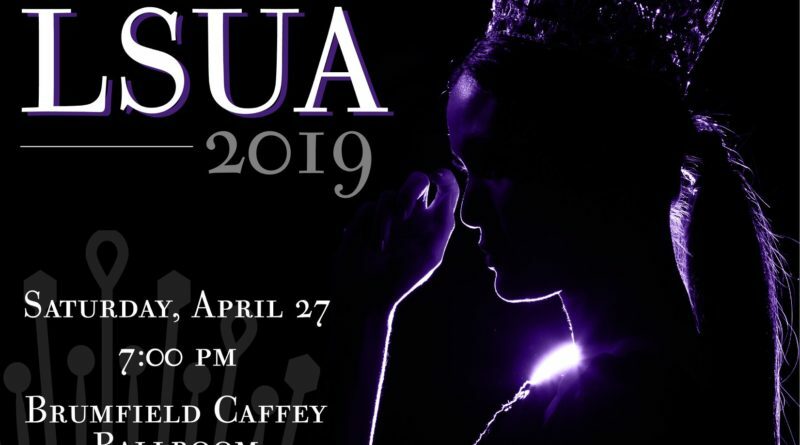 The Ms. LSUA Pageant is open to all female students regardless of age or marital status. Contestants compete in casual and evening wear categories and answer a question pertaining to their platform topic. Each contestant also participates in an interview with three judges prior to the pageant. All participants have a mentor from the university faculty or staff. Madison Fruge’, the reigning Ms. LSUA, will participate in the pageant and crown her successor.